‘Skazka’ is a Russian word meaning a ‘fairy tale’. 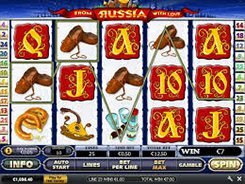 This is a Playtech-released 5-reel 20-line slot that will bring you straight to a breathtaking world of Russian folk tales. 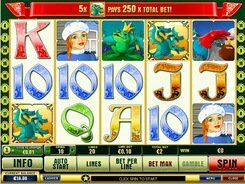 The slot features the symbols of the Frog Princess, a warrior, the Golden Fish, Baba Yaga’s hut and other folklore characters and things. Lining up on active paylines they bring you cash awards. 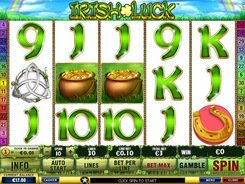 You can place a bet per line varying from $0.01 to $50. 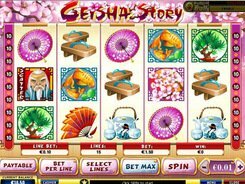 If wagering the maximum possible amount of $1000 per spin, you have the chance of winning x100 times your bet, or $100,000! 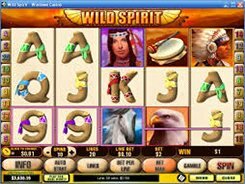 The mentioned jackpot amount is paid out for five Baba Yaga’s Hut symbols appeared on an enabled payline. 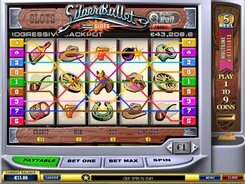 20 free spins with a x2 multiplier are triggered when a Free Games icon drops on reels 1 and 5 simultaneously. The Dragon serves as the scatter symbol, with three Dragons scattered anywhere giving x5, four Dragons giving x25, and five Dragons giving x250. 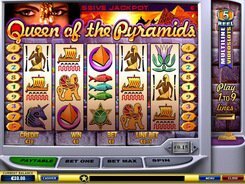 The Gamble Feature in Skazka slot has a standard set-up but a $100 double up limit. Just select a color of the facedown card. If you guess it incorrectly, you lose your payout earned in the triggering round. PLAY FOR REAL MONEY!